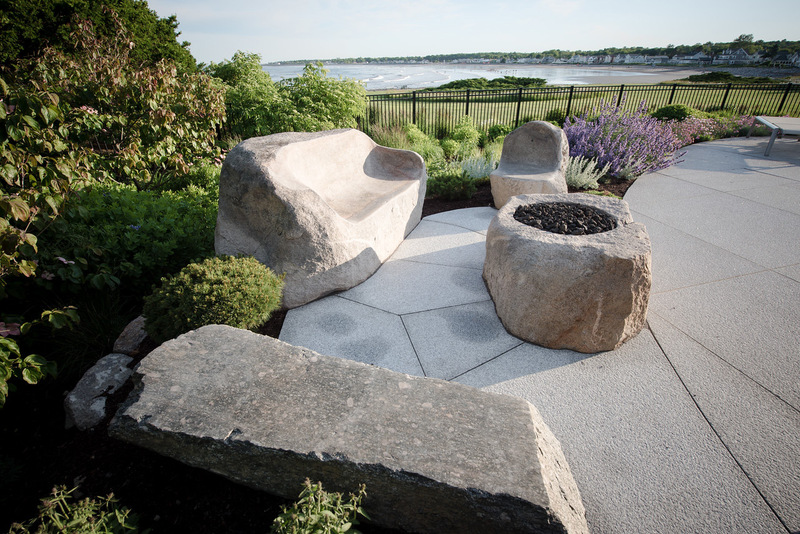 terra firma landscape architecture has been established in Portsmouth, NH and serving the Seacoast New Hampshire, Maine, and southern New England since 1993. We specialize in landscape architectural aspects of site design such as urban gathering spaces and parks, custom residential projects, commercial properties of all kinds, streetscapes as green infrastructure, garden design, playgrounds and schoolyards, and recently memorial design. We believe that landscapes reflect the vision and values of those that inhabit them. Furniture hand carved from boulders with fire pit. Seacoast NH residence. August 29, 2018Terrence wins Citizen of the Year!